In a matter of seconds it finds and scans all computers on your network and provides easy access to their various resources, such as HTTP, HTTPS, FTP and shared folders. 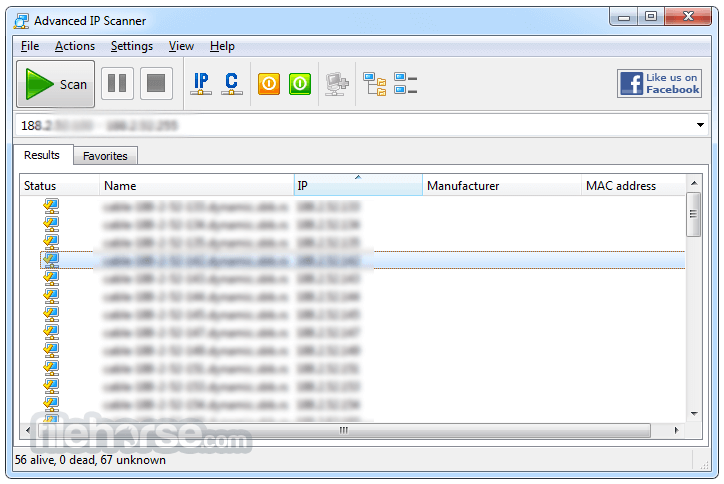 With freeware Advanced IP Scanner you can scan all IP addresses on your local network. The remote PC shutdown feature lets you shut down any remote machine or a group of machines running Windows. You can also wake these machines remotely with Advanced IP Scanner if their network cards support Wake-On-LAN functionality.